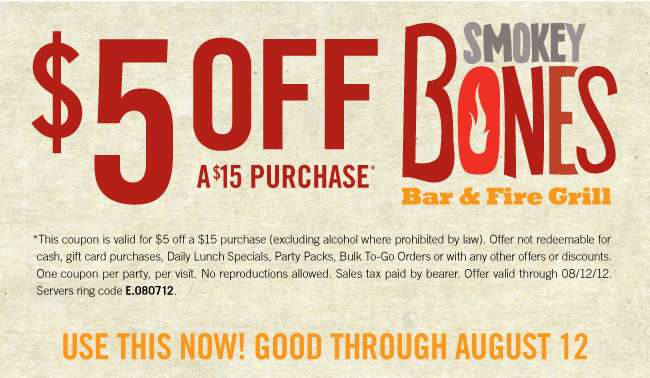 Need aÂ Smokey Bones Coupon?Â If you decide to take the family out for dinner, be sure to print this coupon for $5 off a purchase of $15 or more at Smokey Bones. Valid through August 12. Head over and load up on ribs and all the other yummy food at Smokey Bones.